We get it. Thinking through serving on the mission field brings with it a whole bunch of questions. Below are some of the most common. Remember, we’ve also put together an “online journey” (a 5-part email series) to help you navigate through MAF. Check that out here. If you have any more questions after checking out the FAQ below, you can reach us on 1800 987 221. MAF Australia recruits for a range of roles in MAF programmes. We recruit on an on-going basis for Pilots, Engineers and Avionics Technicians, but we also regularly recruit for a range of Management roles in specialist fields such as Finance, Quality, Base Management, Operations and Engineering among others. We also occasionally recruit for HR Managers, Base Administrators, Construction/Maintenance and Development Managers. From time to time MAF would also require the services of a Home School Teacher. Please consult the vacancy list on our website for the latest on our vacancies. Does MAF need medical staff or teachers? MAF programmes support medical and education work but MAF does not directly employ teachers or medical workers. MAF does advertise some roles in these fields on behalf of organisations we work with overseas and candidates should approach these organisations directly if they want to find out more. What type of person is MAF Australia looking for? 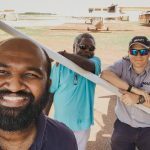 MAF Australia is a Christian aviation organisation which recruits suitably skilled, qualified, and experienced staff looking to serve remote communities as missionaries. Role descriptions are available with full details of the requirements of each role. MAF Australia’s international staff have a requirement to agree with and promote MAF Australia’s Christian statement of faith and beliefs within the Christian community in Australia and/or overseas. MAF Australia staff are involved in sponsorship raising work in Australia and they work in close partnership with other mission workers in the Christian community overseas. Staff need to be mature, flexible, able to live and work cross-culturally and sometimes in challenging developing country environments. Staff need to exhibit a Godly sense of calling to service with the ministry of MAF and have the support and pastoral care of an established home Church. There is also the requirement to share in Christian activities in Australia and overseas during their time with MAF. How would my suitability be assessed? MAF Australia offers initial advice and discussion informally to help potential candidates discover if they want to formally apply to serve with MAF internationally. After consultation and initial assessments, candidates undertake formal interviews, a medical and psychological assessment, and for some roles an aptitude and capacity assessment will also be required. Given the nature of this ministry many of the roles with MAF Internationally would require staff to have sound bible college training. Pilots must successfully complete MAF’s Pilot orientation training; all staff will be required to successfully complete the MAF orientation course and would in most cases be required to attend Transition Training hosted by Missions Interlink in Melbourne. MAF International have the MAF training centre in Mareeba which provides training for pilots and engineers. This facility is able to prepare pilots from 0 hours to CPL level flying. MAF International also have an engineering apprenticeship programme for those interested in long term service with MAF as engineers (avionics and maintenance). Are short term opportunities available? Occasionally MAF Australia may place short term staff or volunteers within MAF programmes. This is usually in response to a specific skills gap, e.g. electrical work, building project management or IT. We unfortunately can’t accept Pilots for short term assignments due to the orientation and re-licensing required and the investment of time and funds to achieve this however, former MAF staff may be considered. Normal terms of service are 4 – 8 years. What is MAF's policy on retirement? In some operations, Pilots are required to cease flying at age 60 due to local aviation authority requirements. The normal retirement age is 65 although staff may request to extend their employment beyond this. MAF Australia staff are required to carry out some sponsorship fundraising work (ministry partnership) in order to meet costs associated with MAF international service. This fundraising contributes toward a salary which is paid monthly. MAF Australia provides training and on-going support to staff undertaking ministry partnership development to help them build a group of supporters who will pray for them, as well as financially support them. The salary is paid to the MAF job holder and MAF covers tax and national insurance for the job holder. Salaries will not be comparable to commercial organisations as MAF Australia is a charity organisation. Are there any recommended events for those considering mission work? MAF Australia recommends that those considering full-time service consider 6 months + Bible College training which is required for most locations. What if I am not qualified yet? MAF is happy to keep in touch with candidates not yet meeting minimum requirements. There may be events or activities with MAF in Australia which candidates can be involved in. MAF Australia can provide some information on volunteer opportunities and events. MAF takes family needs seriously and will take into account spouses and children when negotiating the location of a job to be offered. If a spouse wants to work in paid employment overseas the location may be limited because of work permit restrictions and this may be a factor in the assignment locations offered. Good schools are available in most programme locations but must be paid for. Sometimes staff are able to relocate to a different programme if schooling is thought to be inadequate for certain ages of children, but this is explored ahead of time with management. Many families opt for home schooling as a way to overcome any challenges presented by the location of schools. How long does it take to get overseas once appointed? This depends entirely of the candidate’s ability to ensure their technical competency for the role applied for as well as grow their ministry partnership. The preparation process will vary to meet individual needs as well as MAF requirements for orientation, induction, and sponsorship raising. What are the benefits and challenges of living overseas? MAF is mostly based in developing countries and even the most experienced overseas traveller will have some level of culture shock when they join. Staff may be responsible for wider family back home. Culture shock can be experienced when returning to the home country too. What is the home Church's role? MAF sees the home Church as a partner in the role of supporting staff. They will help test the calling to mission work and they will provide prayer and pastoral support for staff. They may or may not be able to support financially. MAF will seek to develop a working relationship with the home Church. What is access to medical care like overseas? There is very good medical care available in most locations but it must be paid for. Staff will be medically and psychologically assessed to ensure they are suited for the environment overseas and advised on health precautions and actions to take and these should be followed. Once employed staff have a medical and psychological assessment that is required from time to time to ensure MAF’s duty of care. MAF has a pastoral care policy covering access to support whilst overseas. What length are overseas assignments? Usually 4 years. Pilots and Engineers are asked to commit to at least 4 years because of the length of the orientation and preparation required to get them licensed in the country they are sent to. Additional assignments are encouraged. Some roles have a shorter assignment length. What are the hours of work and what about holidays? Pilots have to abide by duty hours set in each country according to local CAA requirements. Working hours are usually around 38 hours per week. Staff are entitled to annual leave plus paid public holidays according to their location. There is also a 20 day period every 2 years used for home assignment. Home assignment is to be used for raising support, meeting with supporters and undertaking a home office visit, medical check-ups etc. Flexibility in working hours will be required in order to meet programme operating needs and emergencies e.g. medevac flights. What should I take overseas? When you are appointed to a particular overseas location, MAF will set you up with all the information required on the operations, the living and working environment, and what the accommodation will be like. You then decide what you will need to ship to your overseas location, and what you can arrange there. A house and basic furnishings and kitchen equipment are provided by MAF in remote locations. What if I am not currently resident in Australia or legally entitled to work in Australia, or I do not currently reside in Australia? Applicants must be currently resident in Australia and legally permitted to live and work in Australia to be employed through MAF Australia. Enquirers who do not meet these requirements may be able to proceed through another MAF group in their home country. Health risks should be taken seriously and appropriate advice followed. Some staff will take anti-malarials all the time, others who are based only at high altitudes may not. MAF advises following specific medical advice for the location and type of work undertaken, as with all other health issues. What roles are available in Australia? What is the minimum flying hours required for Pilots applying? This depends entirely on the programme the candidates joins. Some locations require 250 hours while others require 1000 hours. Do MAF Pilots need a CPL? Yes, as well as an advanced instrument rating. What level of medical clearance is required for Pilots? Is there a way of checking my suitability to be a Pilot? MAF Australia is able to conduct an Ab Initio GPSS (Global Pilot Selection System) for prospective pilots hoping to pursue mission flying. This will be at your own cost paid up front and would require a day of your time. What if my family can't join me overseas? MAF takes the broad pastoral care of staff and their families seriously and does not send a staff member overseas to work for normal length assignments without their spouse or any children living at home under their parent’s responsibility. 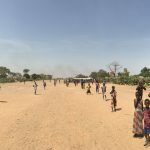 This is because MAF believes this would have a detrimental effect on the family and relationships and as a Christian mission organisation MAF believes that all parts of the family have needs which should be taken into account. If you want to apply for a role advertised, or you want to let MAF know of your interest in working overseas in the future, please have a look at the relevant vacancies and follow the prompts to complete the online enquirer’s form. Our staff will be in touch with you regarding your enquiry. Should you have any additional questions you may email us on [email protected].